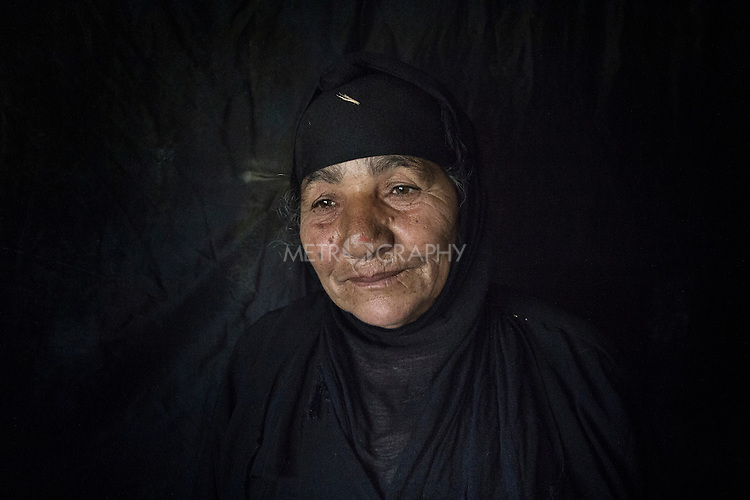 23/06/2015 -- Dibaga-Makhmur-, Iraq -- Hindia Salah from Jarallah village, inside her new home at the chicken farm in Dibaga. Her son who was detained by the Assaish when he wanted join the Shia militia Hashd shabie. Her grand child Retaj 2 Y.O. lives with her now for his father was killed in Mosul last year.